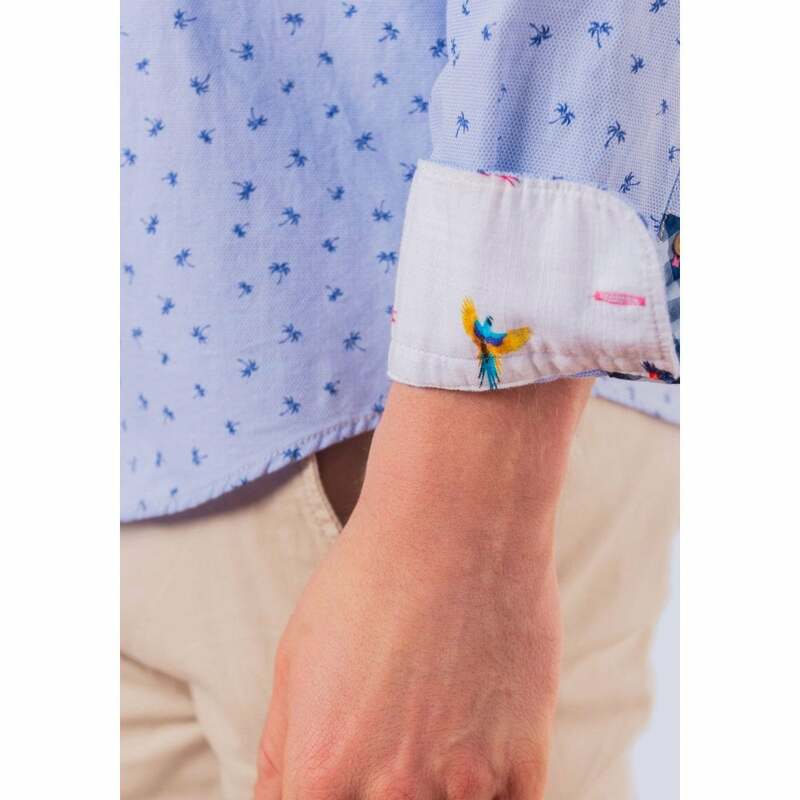 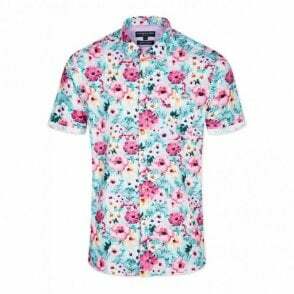 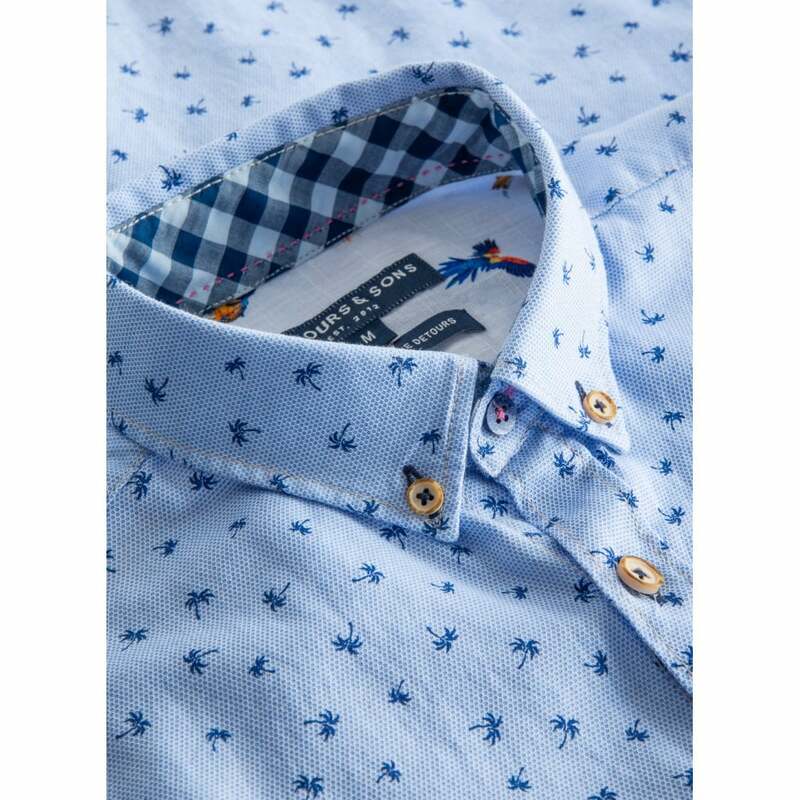 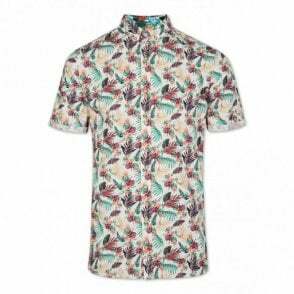 This shirt has a lovely minimalist palm tree pattern that gives it a summery touch. 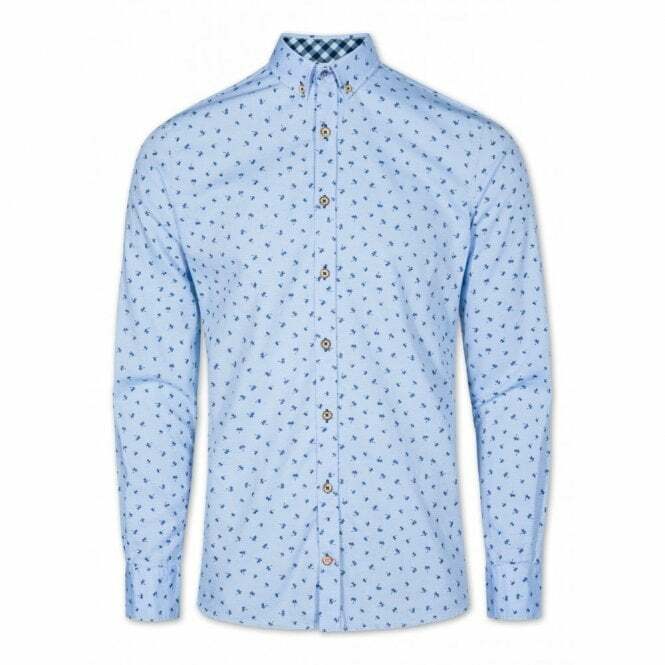 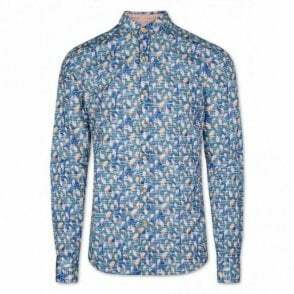 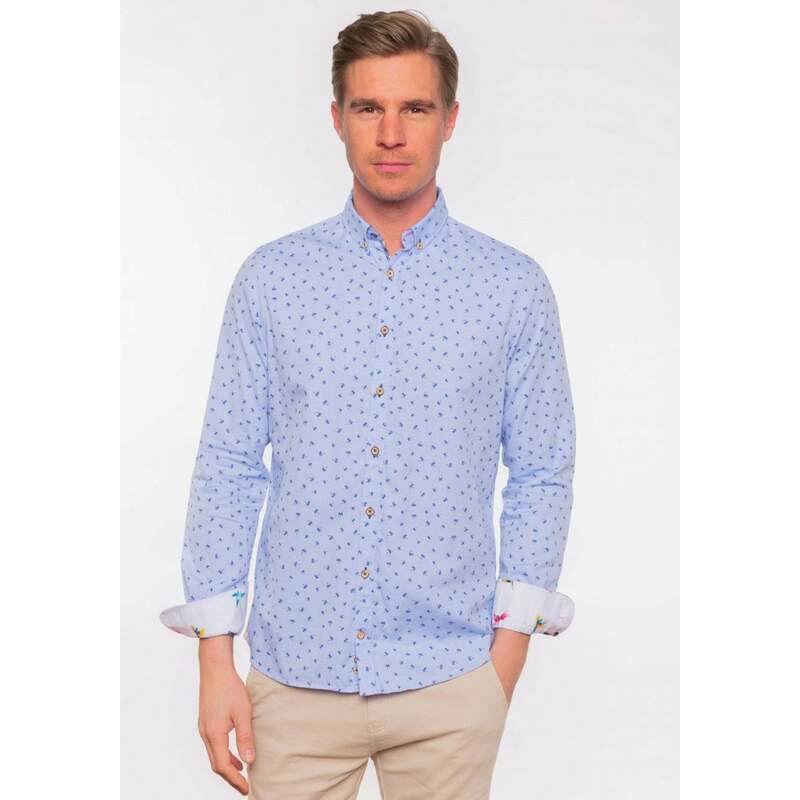 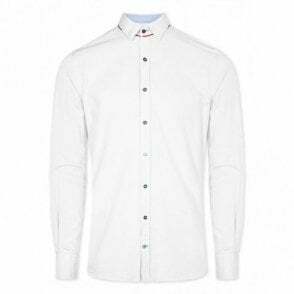 The restrained dark blue print on this pale blue shirt lends itself to both smart and casual wear. 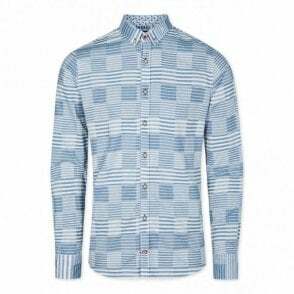 Why not team with beige chinos and a blue jacket?